industry experts said on Thursday. 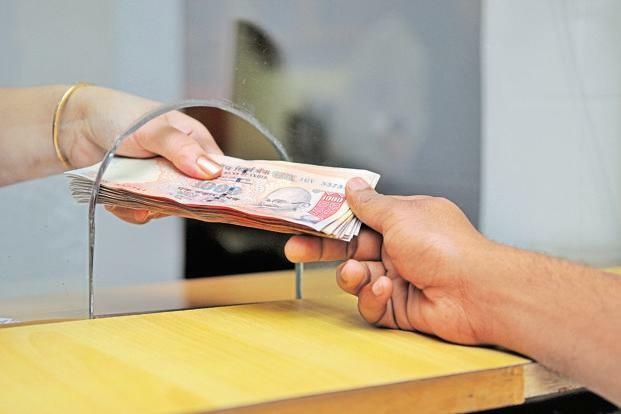 Those most likely to face competition from P2P lending, if it picks up, include small non-banking finance companies (NBFCs) and moneylenders in the business of giving small, unsecured loans for the short-term needs of their customers. Presently, P2P platforms offer loans that are typically below the minimum amount offered by the formal financing sector. Often, they cater to borrowers who are urgently in need of money and do not have anywhere else to turn to. As the business picks up, they can potentially offer larger loans. “We currently provide loans between Rs.50,000 and Rs.2 lakh, which is technically above what a microfinance company provides, but less than banks or NBFCs. Once we have established ourselves over the next two years, we might want to look at larger ticket sizes,” said Bhavin Shah, founder of LenDenClub, a P2P lending platform. P2P lending is a form of crowdfunding used to raise loans that are paid back with interest. The lending platforms are largely technology companies registered under the Companies Act and acting as an aggregator for lenders and borrowers. Once the borrowers and lenders register themselves on a P2P website, the operator of the platform carries out due diligence. Those found acceptable are allowed to borrow and lend. The RBI is now asking these platforms to register as NBFCs and comply with governance, disclosure and minimum capital rules. The norms, spelt out in a discussion paper put up for consultation, are yet to be finalized. Apart from the easy access that they offer, P2P platforms can also bring down interest rates in comparison to the informal sector, the RBI said in its consultation paper. These platforms allow lenders to offer different rates based on the risk profile of the borrower and the reason for which the loan is being sought. Small and medium enterprises (SMEs) stand to benefit. said Rajat Gandhi, founder and chief executive officer, Faircent, one of the largest P2P lending platforms in India. On Faircent, customers can get unsecured credit at rates ranging from 12% to 36%, depending on their needs and risk profile. The platform differentiates borrowers into categories ranging between minimal risk to very high risk. The intent of the regulator is to boost alternative sources and routes of funding and making credit more accessible to people who have not been able to receive the funding they need. NBFCs, however, don’t see P2P lenders as direct competition and say that these platforms will target customers who have been traditionally served by private money lenders and other sources of funding. “Those in need of formal financing will always come to NBFCs or banks. The customers who would access P2P will typically be people who will use it as a last resort in case other sources do not work out for them,” said Vimal Bhandari, chief executive officer, Indostar Capital Ltd, an NBFC that lends to small businesses. Bhandari added that given the gaps in credit scoring in the country, it will be interesting to see how these firms assess the creditworthiness of borrowers. said P.N. Vasudevan, managing director, Equitas Holdings Ltd.
“At this stage, these are just ideas and there is a long way to go before they are able to scale the business. Establishing credibility regarding the availability of quality credit and healthy recovery of these loans takes time. However, once they establish themselves, they can be a good competitor,” Vasudevan said. What does a drop in interest rates mean for SME P2P lenders?